The fly presentation – it is the most challenging aspect of fly fishing. 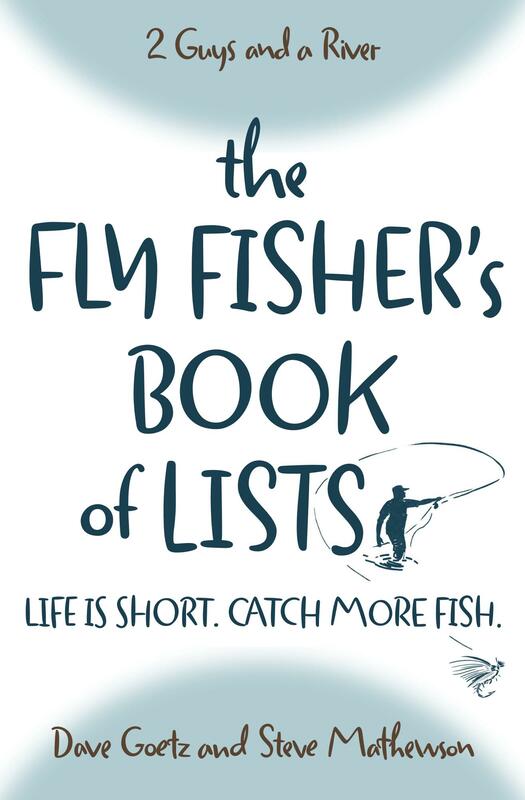 Especially when dry fly fishing or nymphing, perfecting the dead drift demands a mindset of continual learning and a ruthless critique of each cast. Improving your fly presentation is the art and skill of fly fishing. Listen to Episode 47 now! We’ve introduced a feature to our podcast called “Great Stuff from Our Listeners,” which we publish at the end of each episode. We read a few of the comments from this blog or from our Facebook page. We enjoying hearing from our readers and listeners, and appreciate your advice, wisdom, and fly fishing experience. Please add your ideas to the creative mix. Do you have any techniques for dry fly casting or nymphing? What have you found helpful in improving your fly presentation. You may want to watch several of these terrific Joan Wulff instructional videos on the R.L. Winston Rod Co. web site. As always, great Podcast. I would like to add that in addition to the angle of the angler, casting and mending the line a key component to presenting your fly is your approach. You have to have stealth when approaching your target. slowly get into position and above all make sure that your first cast is your best cast. I will also add that you need to use the correct tippet size to match your fly size. You would not want to tie on a size #14 dry fly with size 8x tippt. just as you would not tie on a size #22 dry fly with 1x tippet. You’re absolutely right, Glen. And I’m laughing when I think about the image of a size #22 dry on a 1x tippet. For readers who are new to fly fishing, a 1x tippet is way too big for a tiny fly. It would look like a rope was tied to it and scare away the fish! Steve, I know I was a little dramatic with that tippet reference. I’m glad I got a laugh out of you. I think that most fly fishers need to understand that presentation depends on the waters you are fishing. Fast water vs still water. Fertile waters vs infertile waters. Trout always feed no matter what. Good weather, bad weather, high water or low. You need to do your homework and observe your surroundings. Have fun with it but fish hard. I commend you and Dave for putting on these podcasts. I wish you both continued success. I thank you for including me in your podcasts. I feels really good to here my name. Describing mending without visuals is always a squirrely task. I think you guys did an admirable job! For most trout fishing, mending is probably more important than casting. I agree …. mending may be more important than casting. This is true especially with nymphs. When my sons first started fly fishing (middle school years), they weren’t great with casting. But they could mend, and that saved the day. They caught alot of trout on the Madison River simply because of their ability to men. And yes, talking about it without visuals is TOUGH. A picture is worth a thousand words! Great podcast . You guys nailed it on the head. Presentation is everything. Learning to read the water currents will increase your overall success significantly. Short controlled cast and knowing what your fly is doing is a must. Wonderful work guys .